Sonia Santos, born in 1983 (Aveiro, Portugal), was graduated in Chemical Engineering in 2006 at the New University of Lisbon (FCT-UNL, Portugal). In the same year she spent 6 months in a training period at Eindhoven University of Technology (TU/e Netherlands) working on the recovery and regeneration of thermo-reversible ion exchanger surfactants. 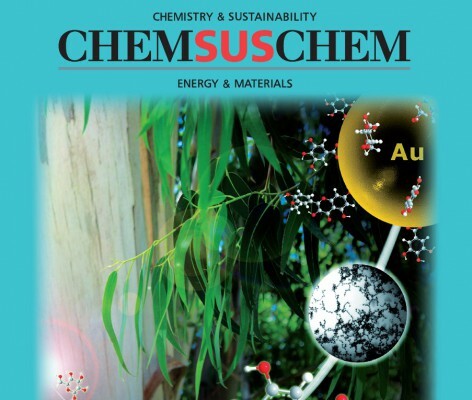 In 2012, she obtained a Ph.D. in Chemistry at University of Aveiro (UA, Portugal) with C. Pascoal Neto and A. J. D. Silvestre working on the chararacterization of phenolic fraction of forest industrial by-products. Currently, she is a researcher at the Associate Laboratory CICECO and her research focuses on the bioprospection of health-promoting components from Natural resources. Her interests have been focused on the bioprospection of natural resources, namely in the detailed characterization of their extractives, the development of green and sustainable extraction methodologies and upgrading of bioactive extracts in valuable applications. Sonia has a vast experience in the characterization of bioactive components from natural sources, natural components degradation products and drugs and pesticides degradation products, by using diverse techniques, including gas and liquid chromatography coupled to mass spectrometry. Sonia has also a large experience in participation of national and international projects. She is author/co-author of 45 papers, 1 book chapter, H-index 15, + 531 citations. 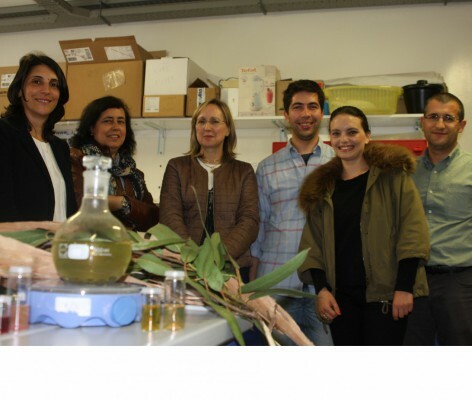 Member of the Associate Laboratory CICECO in the interdisciplinary group of Biorefineries, Biobased materials and Recycling (Group 5, Line 3: Sustainability and Biomaterials). Ramos, P. A. B.; Moreirinha, Catarina; Santos, Sónia A. O.; Almeida, Adelaide; Freire, Carmen S. R.; Silva, Artur M. S.; Silvestre, Armando J. D.
2019, Industrial Crops and Products, 132, 245-252. 2017, INDUSTRIAL CROPS AND PRODUCTS, 95, 357-364. 2017, INDUSTRIAL CROPS AND PRODUCTS, 105, 83-92. 2017, FOOD HYDROCOLLOIDS, 73, 120-128. 2017, INTERNATIONAL JOURNAL OF BIOCHEMISTRY & CELL BIOLOGY, 87, 114-124. 2017, FOOD CHEMISTRY, 228, 618-624. 2017, JOURNAL OF HAZARDOUS MATERIALS, 323, 250-263. 2017, INDUSTRIAL CROPS AND PRODUCTS, 95, 244-255. 2016, JOURNAL OF APPLIED PHYCOLOGY, 28, 5, 3151-3158. 2016, JOURNAL OF FOOD COMPOSITION AND ANALYSIS, 50, 70-76. 2017, supervised by Carmen Sofia da Rocha Freire Barros, Sónia Andreia Oliveira Santos. 2017, supervised by Sónia Andreia Oliveira Santos, Armando Jorge Domingues Silvestre . 2015, supervised by Armando Silvestre, Sónia Santos. 2012, supervised by Carlos Pascoal Neto; Armando Jorge Domingues Silvestre.